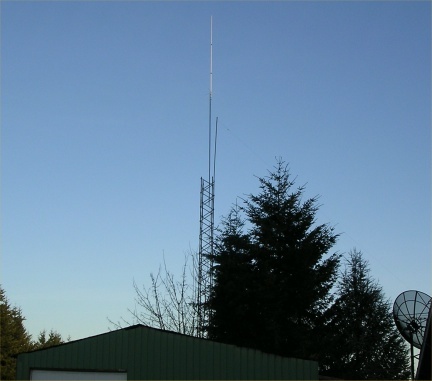 The CTR Repeater is located in Salem, Oregon on Rees Hill at the home of KC7CFS. The frequency is 443.450 MHz, with a PL tone of 123. The CTR repeater is at an elevation of 665 feet. The antenna is a Comet GP-9 with a gain of 12 dB. The CTR repeater club invites anyone to visit the repeater frequency, especially between the weekday evening hours between approximately 7PM and 9PM for discussions, general question and answer sessions, etc. Return to CTR home page.